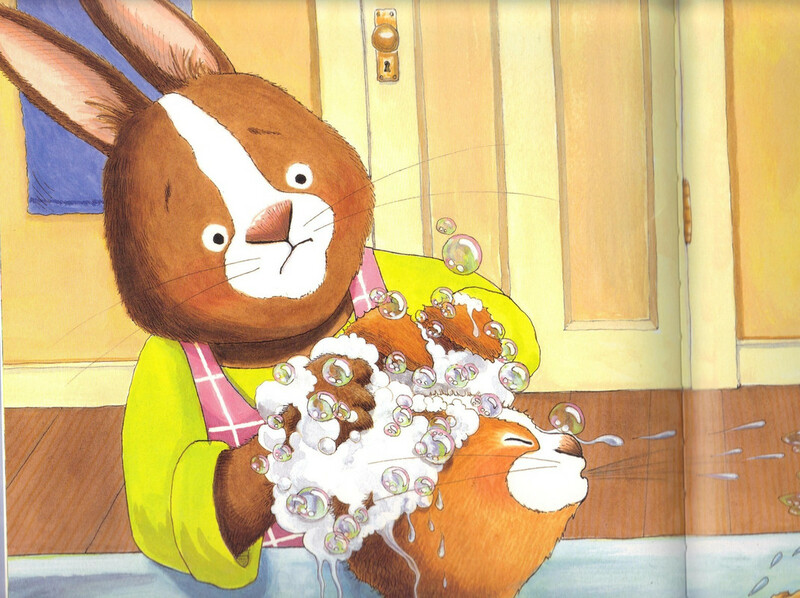 Charming little book written by Amber Stewart and illustrated by Laura Rankin about a bunny named Hopscotch who doesn't like having his ears washed. "Hopscotch liked his ears dry. He did not like them soapy. The soap always ran away, then ended up in his nose and made him sneeze." He sneezes away a lot of bubbles. On a sidenote, the book was later followed by No Babysitters Allowed.